Roberto Martinez’s men showed their class and no hangover from their exertions in finishing third in Russia to warm-up for their Nations League opener against Iceland on Monday. However, the visitors were handed a series of gifts by a Scotland side that slumped to a fourth defeat in five games since manager Alex McLeish was appointed for a second spell in charge. 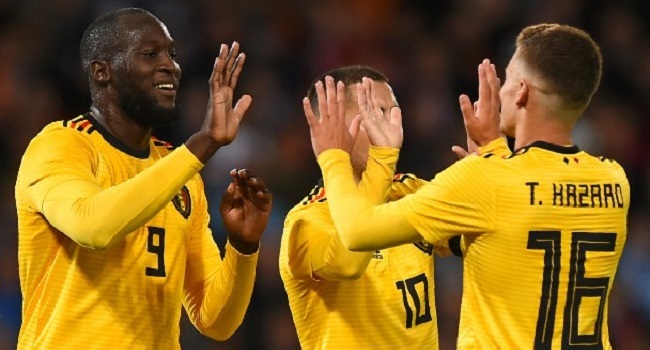 The contrasting fortunes of the two nations were summed up by Belgium playing to a crowd less than that which celebrated their return from Russia in July at a barely half-full Hampden. But it took a gift from Aston Villa’s John McGinn to get the visitors going when the midfielder was caught in possession on the edge of his own box and Mousa Dembele and Thorgan Hazard teed up Lukaku for his 41st international goal. Hazard smashed home Belgium’s second a minute into the second half, but again McLeish might have been disappointed to see goalkeeper Craig Gordon beaten at his near post. A truer test of McLeish’s ability to qualify Scotland for a first major tournament in over 20 years will come when Albania are the visitors to Hampden on Monday in the Nations League. Scotland did at least force Thibaut Courtois into a couple of late saves through Ryan Fraser and Steven Naismith, but the Real Madrid goalkeeper ensured there wasn’t even to be a consolation for the home side.